Looking For A Mobile Disco In High Halstow? If you are looking for a mobile disco in High Halstow, JMF Disco will provide you with a good experienced party DJ and provide you with all the help you need to host a great party. JMF Disco will provide the perfect solution for your party entertainment, with a reliable, experienced, professional DJ hire service, providing all the help you need with planning the ‘formalities’ and providing you and your guests with a great party which will be the perfect ending to your special day using our Mobile Disco High Halstow service. JMF Disco's mobile disco High Halstow service will provide you with the entertainment you want for your dream celebration at any venue in High Halstow and the surrounding areas - why settle for anything less? Doing it right requires an experienced DJ with the right skills and resources that we will bring to your celebration by using our Mobile Disco High Halstow service. Contact John on Tel 01795 429777, Mobile 07895 546183 or by email to discuss your Mobile Disco High Halstow service needs or questions. We also provide great mobile discos at some of the best local venues in the surrounding areas and villages including Allhallows, Blue Bell Hill, Borstal, Brompton, Chatham, Chattenden, Cliffe, Cliffe Woods, Cooling, Cuxton, Frindsbury, Frindsbury Extra, Gillingham, Halling, Hempstead, Hoo St Werburgh, Isle of Grain, Lordswood, Rochester, Rainham, St Mary Hoo, St Mary's Island, Stoke, Strood, Twydall, Upnor, Wainscott, Walderslade, Wigmore and throughout the Medway area. 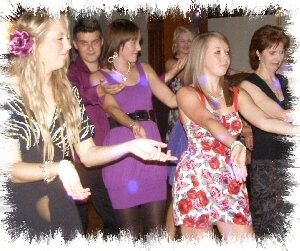 - I'm sure I can provide you with the mobile disco in High Halstow you really want!